This is a bit weird. A few days ago, I drove to my local hospital for an MRI scan. 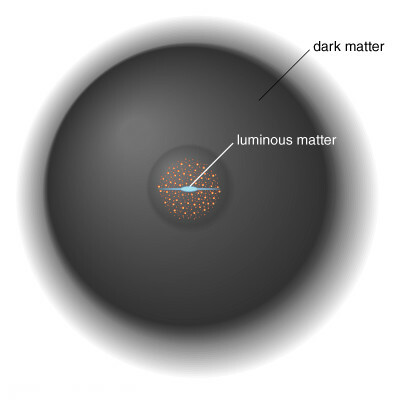 I listened to a programme on the radio about dark matter and dark energy. You know the sort of light hearted programme to while’s away your time that you half listen to? So I arrived at the Neurosciences clinic, changed and was directed to the beast of a machine. I was getting a head and neck scan, which for me, involved first verifying that I have no metal in my head or about my person (that could be disastrous ), then laying on a platform and having your neck and head held in a fixed position. Next, a tube is inserted into your arm and dark cloudy liquid is piped into your bloodstream. After a few minutes the platform slides you into the enclosed space (I’m guessing one to two inches of space around your head, and you lay there, very still, for about 30 minutes, while something spins around your head making very loud rhythmic noises, bangs and squeals. Sort of like you might imagine a Star Trek scanner to be, if it was used in a horror film. You are given a little squeezy thing, if it becomes too much, you clench your hand around it, they slide you ought frowning and the whole process has to be restarted. I can’t say I am a big fan of enclosed spaces. Or the deafening noises that the machine produces. So to distract myself, I pondered the subject of dark matter. As you do. It seems that they are two concepts that physicists have invented to explain what they have observed in the universe. Firstly, planets revolve around their suns, solar systems revolve around a centre of a galaxy and they aren’t flung away into empty space. Einstein’s general theories explain why this happens (gravity warps space so the planets and solar systems are rolling around the sloped surface of space) but there is a problem. The density of suns and the galaxies isn’t enough to create such a steep slope. Therefore there is something else, something heavier, warping the space. And this something else is about ten times heavier than anything that we can see. Dark matter. It isn’t a single thing as such, it may be many things that we just cannot observe under normal conditions. But it is all around us. Some enterprising scientists are conducting experiments miles underground, in deep abandoned mine shafts, trying to detect it. The second concept is all about the expansion of the known universe. Everyone expected it to be slowing, when the opposite is true. Again, to make sense of this, the concept of dark energy was created. Some invisible force that is literally pushing galaxies apart. And the further apart they are, the more space for dark energy, the harder the push is. When I got home, I watched numerous videos online, read articles, and pondered. Dark matter must make up around 25% of the rest due to it’s gravitational effect on the rotation of planets around stars and solar systems around the centres of galaxies. Dark energy has to occupy, based on calculations, around 70% of the known universe. The conclusion is this. I (and you if you have read and digested this) know as much about dark matter and dark energy as our most eminent scientists. And the stuff we do know about, makes up less than 5% of everything. And as the saying goes, “you don’t know what you don’t know!”. According to news reports, the space probe Voyager I has travelled further than any man made object has ever gone before. It boldly goes….etc. Having passed outside the orbit of all major planets, it is now passing through the last remnants of our solar system, some kind of plasma bubble (that must be one very big bubble!) before it enters the gap between star systems. Pretty impressive for a bit of kit sent up in 1977. At it’s heart is a nuclear reactor, 5 sensors that still work and a computer with 68k memory. That is pretty phenomenal and is miniscule by today’s computing standards. We do need to remember though, this isn’t the last we will see of it. We can expect it to return at some point in the 23rd century, though by then, we will have William Shatner and his buddies on the USS Enterprise to save us from the monster that VoyaGER will become.